Constructed of High Quality Dobby Polyster cotton, this uniform not only looks great but feels great. Top features Wrap over Style Uniform, With Full sleeves. Pants feature elastic waist with drawcord. 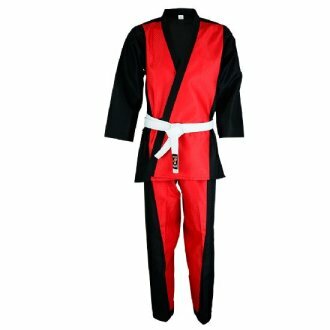 Can Be used for Demos, Tournaments, Or as a freestyle Club uniform. Sold as A complete Set Jacket &am..